Game functions with minor graphical or audio glitches and is playable from start to finish. May require some workarounds. Dedede's Drum Dash Deluxe is a stand-alone Nintendo eShop software developed by Nintendo and is a sequel/successor to the Kirby: Triple Deluxe sub-game, Dedede's Drum Dash. 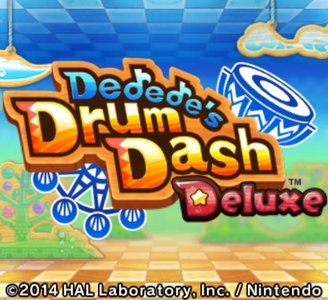 Like the original, Dedede's Drum Dash Deluxe features King Dedede as the main character and has him bouncing on drums to the rhythm of a song. New songs are added, including secret levels to challenge the player. Dedede’s Drum Dash Deluxe functions flawlessly in Citra. The graphics and audio are considered perfect, and the game performs well on lower-end hardware.